We feel proud to announce that Serpent Consulting Services is organizing a Functional and Technical Training for Aspirants. Serpent Consulting Services successfully completed 9 Training sessions of OpenERP Technical and OpenERP Functional Trainings for the year 2012. It is a tremendous achievement for any company. Serpent Consulting Services feels immense pleasure to announce back to back OpenERP Technical and Functional Trainings Respectively. 2. Group between 5 to 9 Trainees : 550 USD per trainee. 3. 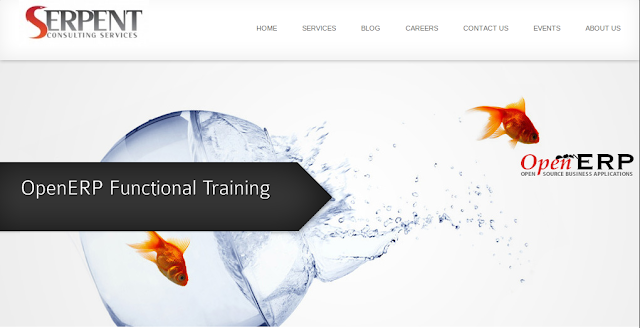 Corporate 10 and more Trainees : 3500 USD for 5 days. The 10th Training programme will be OpenERP Functional Training version 6.1 to be held on 20th Aug to 24th Aug 2012. Aspirants join us for Training, and come out as expert after the completion of Training. The 10th Training programme will be OpenERP Technical Training version 6.1 to be held on 27th Aug to 31st Aug 2012. It brings occasion for you to attend in India. We come with various new additions to the normal Training. 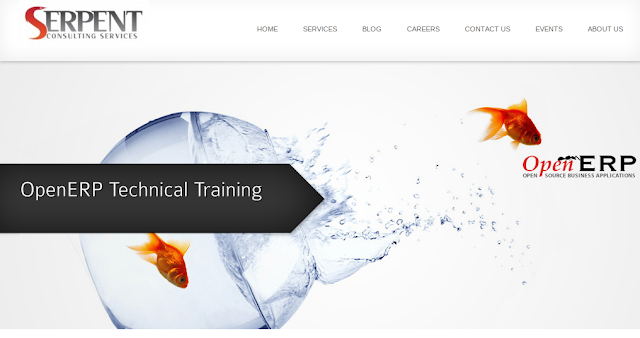 OpenERP Technical Training Duration : - Both Training will be 5 days training. 8 hours each day. Facilities: Daily drinks (tea / coffee) and lunch; Training material Both of these Trainings are very important who are new to OpenERP world. SerpentCS organizing OpenERP Technical and Functional Trainings every month with a good success ratio resulting in confident smiles of attendees. For any news and updates Regarding Serpent Consulting Services visit, blog-serpent-consulting-service.